Dr Sarah Parcak talks about “space archaeology” – she uses satellite images to search for clues to the lost sites of past civilisations. The Egyptian city of Itjtawy has been missing for thousands of years. It was ancient Egypt’s capital for over four hundred years during the Middle Kingdom and Egyptologists have known the massive site was located somewhere near the pyramids of the two kings who built it however, they have not been able to find it until now. Dr Parcak used NASA topography data to map out the site of Itjtawy and was be able to see where the Nile used to flow in those days. 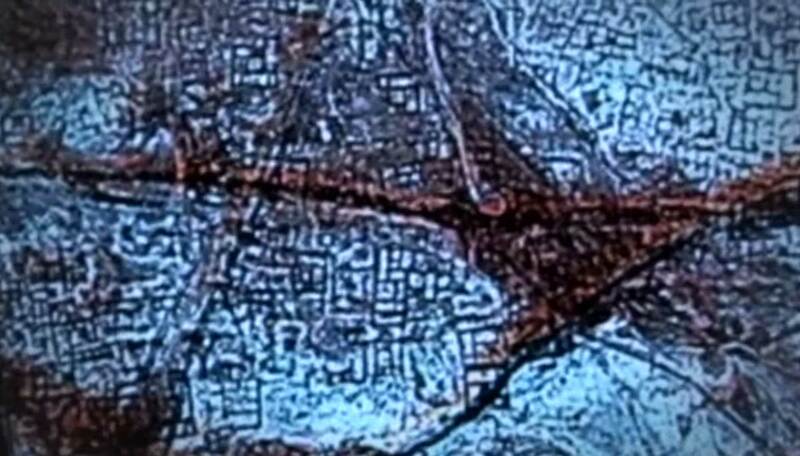 When seen in the infrared chemical changes to the landscape caused by the mud-brick building materials, used by the ancient Egyptians, can be clearly seen and as a result the ancient city is revealed like a street map. In Egypt, her techniques have helped locate 17 potential pyramids, in addition to 3,100 forgotten settlements and 1,000 lost tombs. She’s also made major discoveries in the Viking world and Roman Empire, and appeared in the BBC documentary Rome’s Lost Empire. As the winner of the 2016 TED Prize, Sarah is building a citizen science platform, called GlobalXplorer, which will enable anyone with an internet connection to discover the next unknown tomb or potential looting pit. GlobalXplorer will launch in early 2017.